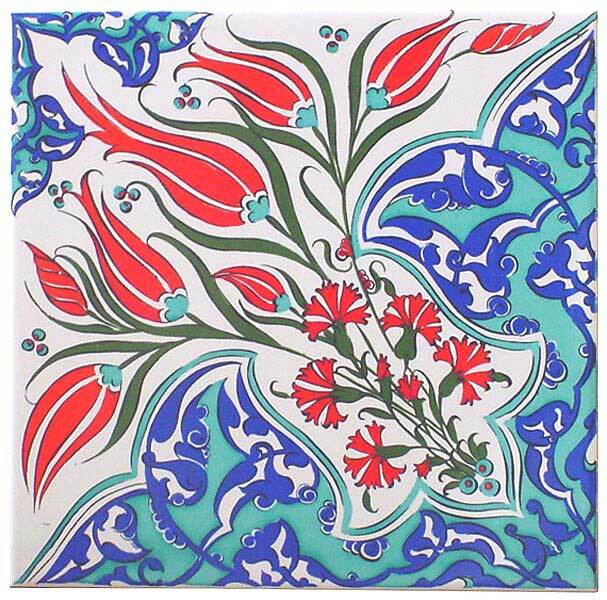 One of our projects last week was based on a Iznik tile. The needlepoint pattern came out great on the canvas! 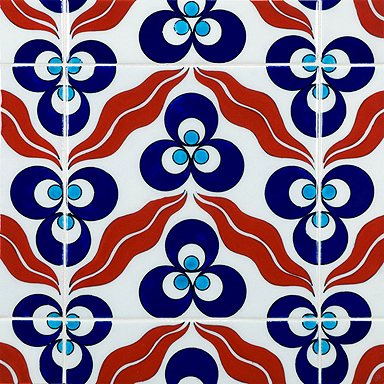 The pattern is so beautiful, it got me looking for more Iznik tiles that would make beautiful patterns for needlepoint and needlepoint canvases. 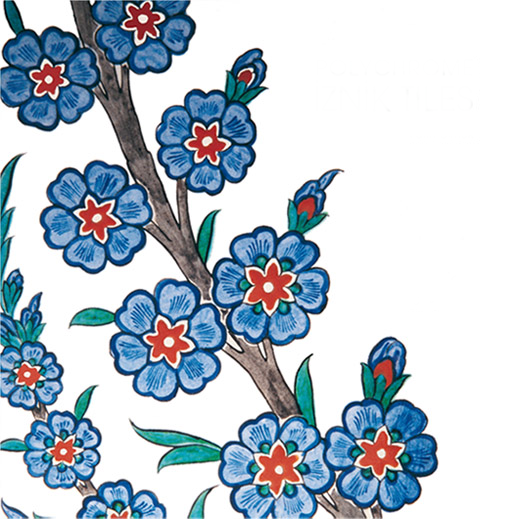 The history of Iznik pottery is quite interesting. 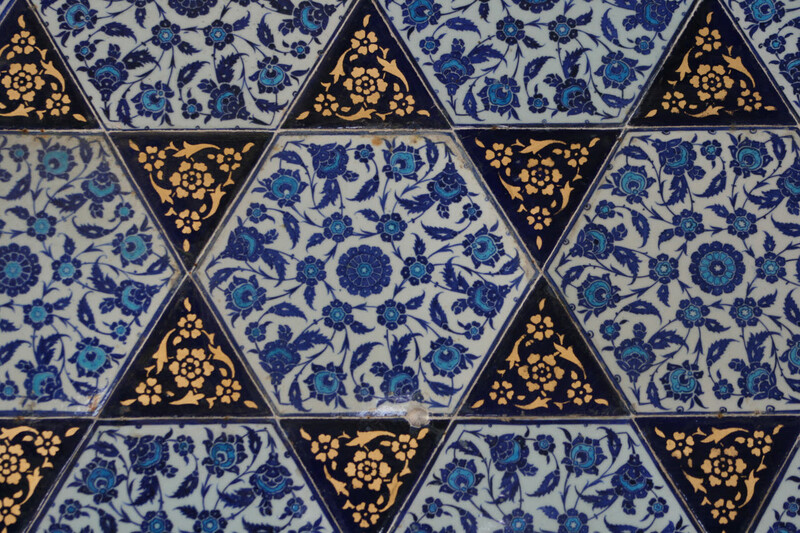 Originally from Turkey, there are many examples in museums and palace walls. 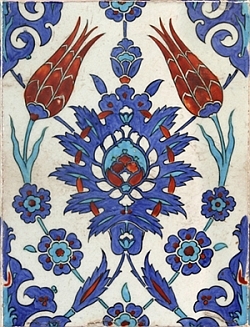 Wikipedia has a good amount of information online on the subject, http://en.wikipedia.org/wiki/Iznik_pottery but the most fun way to browse these amazing patterns is to go to: http://images.google.com and type in “Iznik Tiles”. Enjoy! This week we did two custom needlepoint canvases for a shop, and for the fist time we printed onto congress cloth. 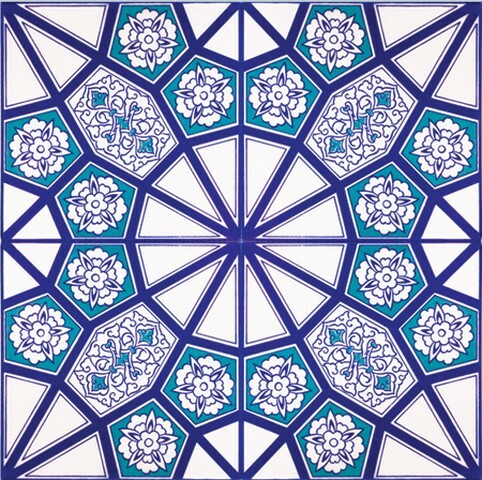 It was a really neat looking project, as the artwork came from a trip to India. It is very delicate hand painted artwork with a lot of details, so using 24 mesh congress cloth made sense. 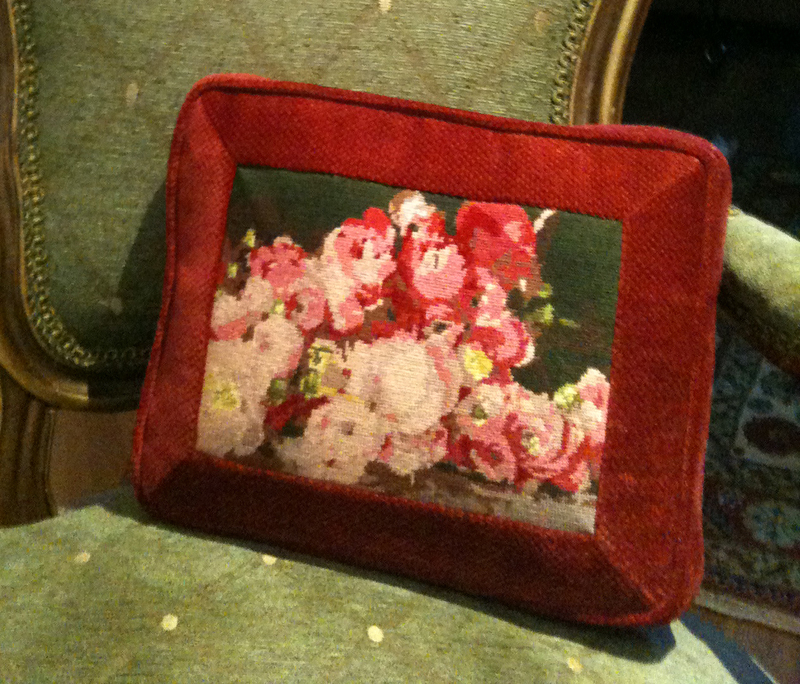 You can see in the photo all the detail and how well the printed needlepoint canvas looks. You can click on the images to zoom in for more detail. NeedlePaint.com is running a Facebook contest from May 22 to June 4. 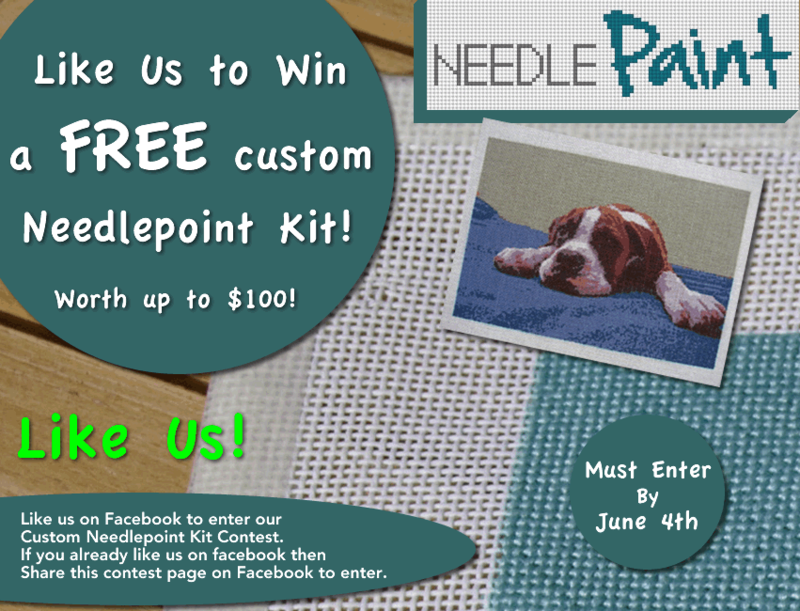 The winner will be announced after June 5th and they will receive a FREE needlepoint kit worth $100! To enter the drawing, all you have to do is to “Like” NeedlePaint’s Facebook page. If you already have “Liked” the page before the contest date, then you can “Share” NeedlePaint’s contest post on your profile page to enter to win. 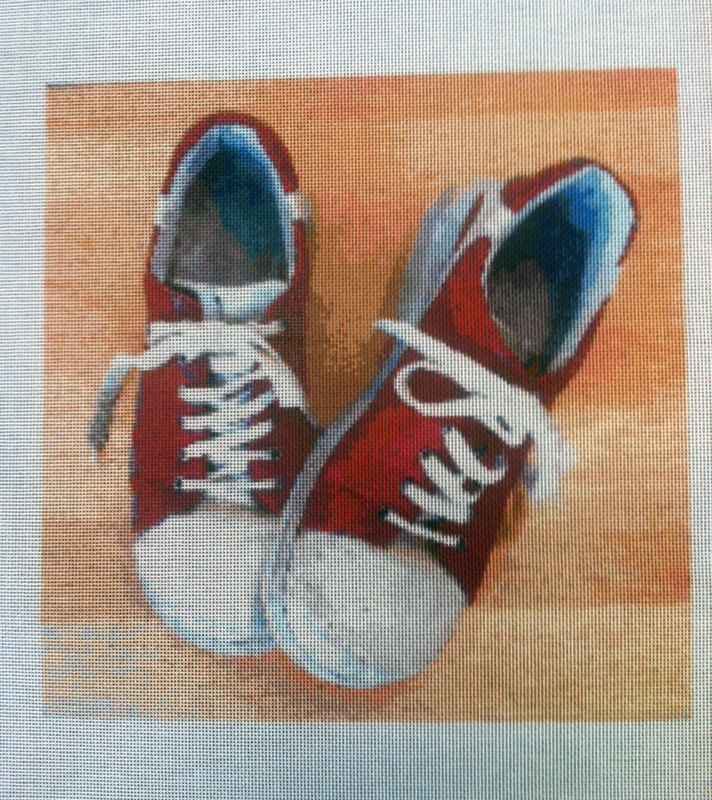 Once selected, the winner will work directly with NeedlePaint.com to design their own needlepoint canvas. 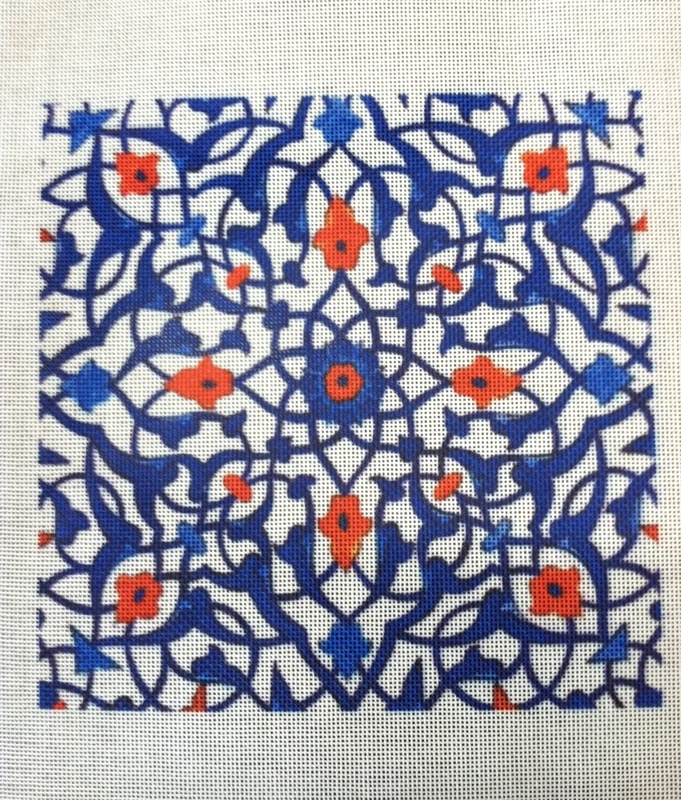 The needlepoint design can be up to 12 inches by 10 inches. All of our needlepoint canvases are stitch printed, matched to DMC floss, and come with a counted stitch guide. The winner can choose to have their design printed on 10, 12, 14, or 18 mesh Zweigart mono deluxe canvas (orange line). And they have the choice of getting a larger canvas worth $100, or a complete kit with DMC floss worth $100. This contest is limited to 1 entry per person. 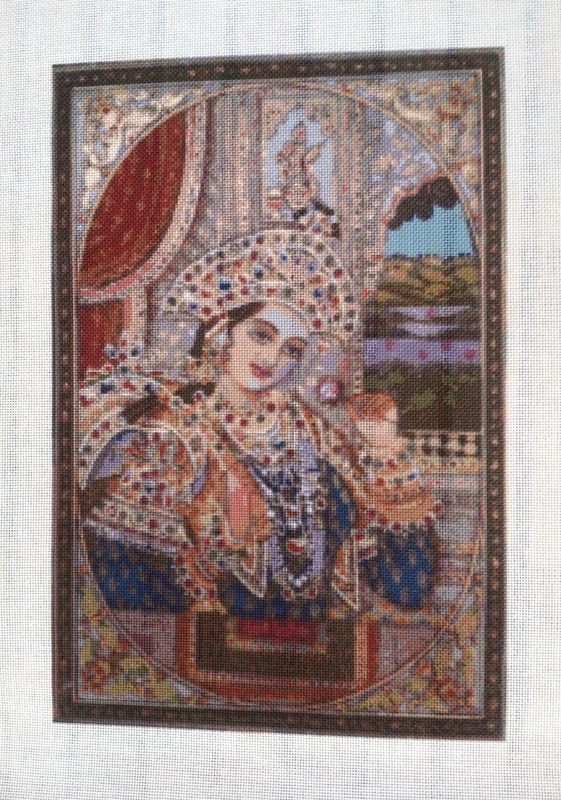 The maximum value of the needlepoint kit or canvas is not to exceed $100. The drawing will be held after June 5th. The winner will agree to share a picture of their project on NeedlePaint.com blog and Facebook page. So, click here and Like us to enter now! Enter to win a Free Needlepoint Kit! OK, every week we get good feedback, but a few special needlepoint kits we shipped out got really good needlepoint reviews that I figured I would share. “We’ve been out of town for several days and just returned last night. Your canvas was waiting for me when we got back, and I absolutely could not be more delighted! I’ve already started stitching, and will send a photo as soon as it’s done. Thanks so much for doing this marvelous canvas for me and for getting it to me so quickly. I also appreciate your personal touch: you color changes were square on. Well, this is probably a boring post for most, but we love to get feedback, and as a reminder, we have a 60 day return policy here at NeedlePaint.com so if you are not happy with your canvas for any reason, we offer full refunds. I was going through my camera over the weekend and came across one of the beautiful needlepoint canvases we made a few months back. 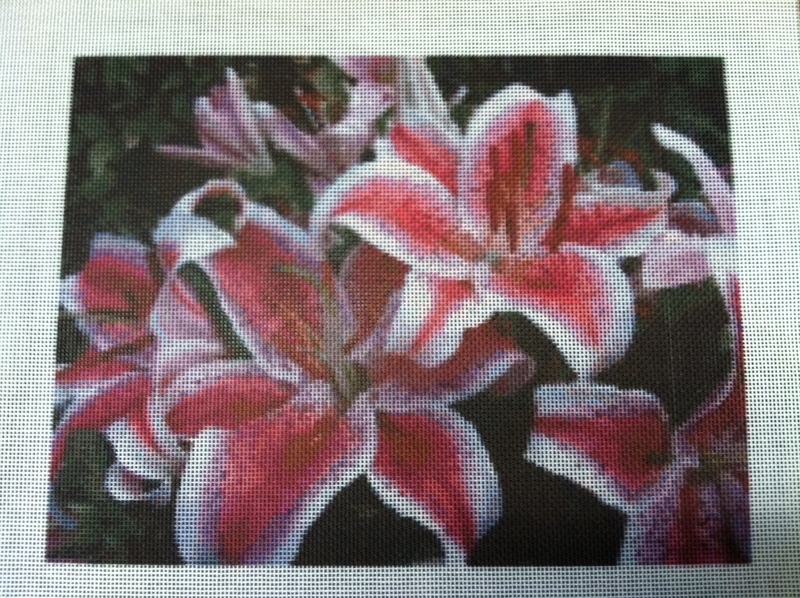 The color on these lilies came out really well, I am looking forward to seeing this needlepoint kit finished! 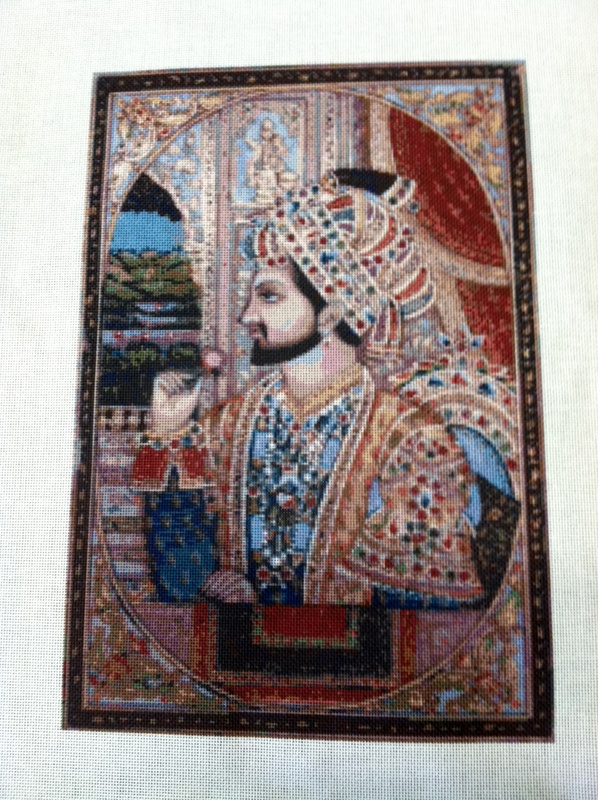 This week a customer designed a needlepoint canvas that not only looks amazing, but has a great story behind it. These red shoes took her around Croatia, after connecting with relatives from the “old country”. The story behind them, is that they were lent to her durning a rainy week by her cousin, and her daughter took a picture of them before returning them. What a great picture, and think about how great is this going to look when it is stitched! 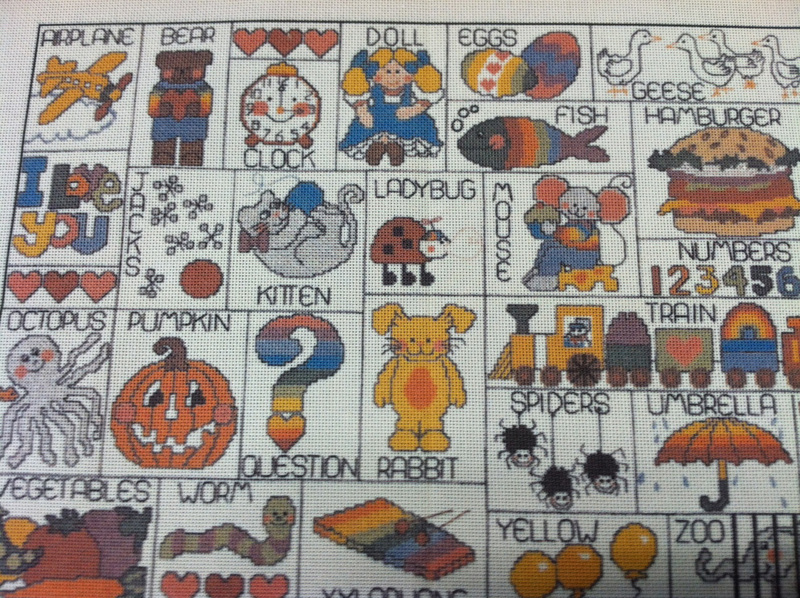 About a month ago, we got a project for a custom cross stitch pattern. But, after talking to the customer for a while, it became clear that she wanted the artwork on the canvas to help her out. She already had the thread and guide from years ago. I mentioned that since we almost always do this on needlepoint canvases, that I thought it would be easy to do this onto cross stitch. It came out really well! If you have any photo you would like to turn into cross stitch projects, printed or just the guides, we can do those for you. The imagination is the limit! 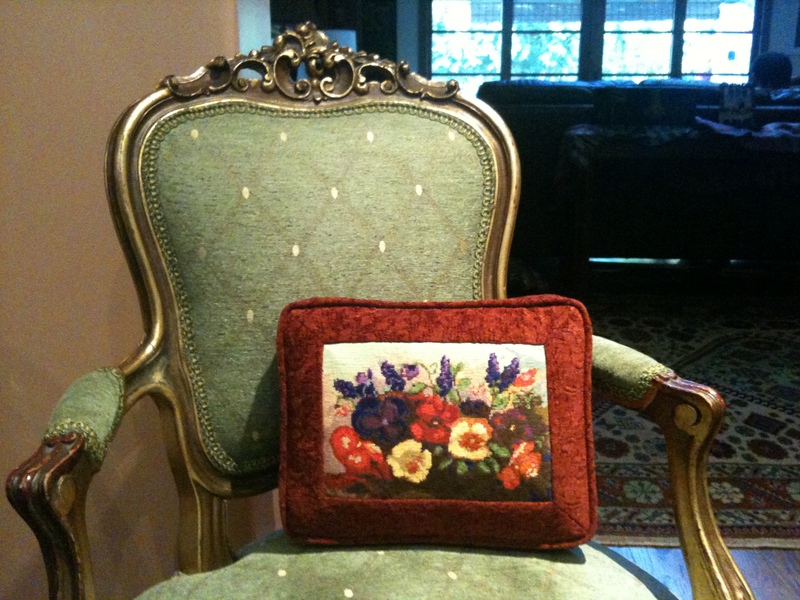 One of our customers, Hala Alfi, just finished two of her custom needlepoint canvases into beautiful pillows. These designs were made using needlepoint kits from NeedlePaint.com where you can upload your own photo to design needlepoint canvases online. I love the framed box edges on the pillows, they give an elegant look, while adding extra size to the pillow. 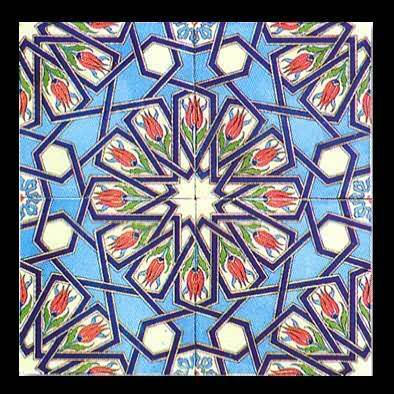 Many thanks Hala! Keep up the beautiful work!